With a well-known plastic surgeon like Dr. Naveen Somia, you can rest assured that your looks are in great hands. To him, it does not matter if you came here hoping to change your physical appearance, or you have a medical issue because Dr. Somia treats every patient with a combination of personal attention and clinical expertise. However, he is not alone, since Dr. Somia's skills are enhanced with the help of his two valuable team members. Juanita and Jane are here to help you out on your journey through the medical procedure. They will answer all of your questions and try to make you feel as comfortable as they possibly can. 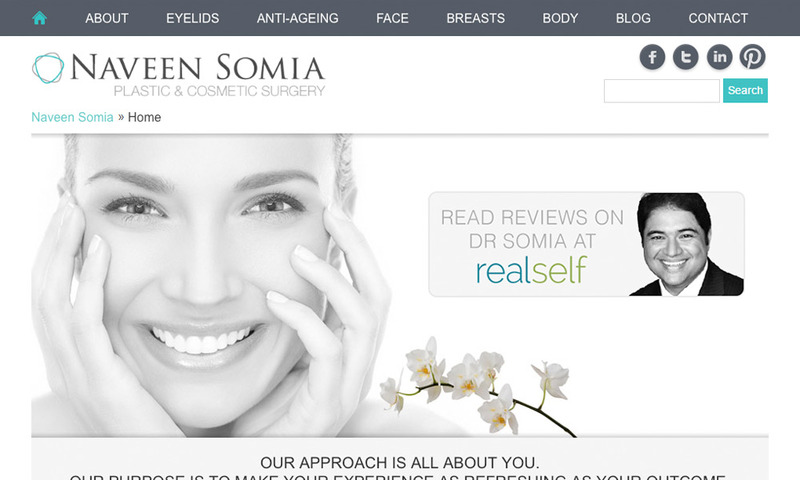 If you want a plastic surgery but you are not sure due to the risks it might carry, you should schedule a private consultation session with Dr. Somia, or you can simply read about their services online.